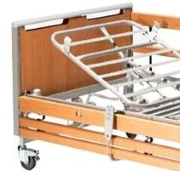 To compliment our high quality ranges of assisted living equipment we supply and maintain long term care beds and medical and therapy couches for all care environments. Medical and therapy couches and plinths, manufactured in the UK by Plinth 2000 who have over 40 years of experience in the field, offer high quality, strong and easy to use products. A wide range of models and colours are available from examination and treatment couches to clinical couches to suit most situations. The Invacare community bed range consisting of high quality electric profiling beds suitable for community and residential care environments. 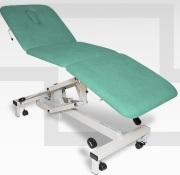 UK's leading manufacturer and supplier of long lasting adjustable treatment couches and chairs to the medical profession, offering a wide rangeavailable in electric or hydraulic versions.